We can confirm that central defender Louis Ezewele has joined Redditch United on a permanent basis, and made his first appearance for them on Saturday. Louis leaves The Lamb after making a total of 16 appearances in a spell that has been plagued by injury problems. 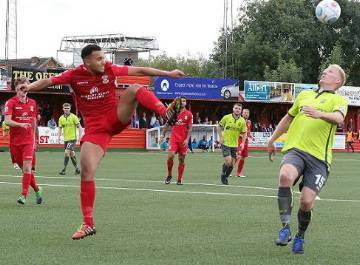 Everybody at Tamworth Football Club wishes Louis all the best for the future.